Another bracing new talent, rising through the ranks of the Cult British Cinema Class of the 2010s (the movement lead by none other than Ben Wheatley, Alice Lowe and Steve Oram), Gareth Tunley’s feature debut is a really startling piece of work. Backed in some capacity by Wheatley himself (the fabled executive producer credit is always a little ambiguous), The Ghoul certainly boasts shades of Kill List and the other low-rent Brit-thrillers that put him on the map. But by its second act, Tunley begins to unlock something very, very different. The Ghoul is an expertly executed exercise in precisely how to bend the very parameters of straightforward storytelling, while still holding on to a thoroughly riveting and, yes, understandable plot. It’s monumentally easy to lose sight of where a film’s going, especially in the modern age of laptop movies and smart phones. Holding an audience’s concentration is much harder than it used to be. So when a film like this comes along, where not so much as a second of screen-time is wasted, and some fairly complex narrative twists seem to pop up without much fanfare at all, it seems at first almost like a recipe for failure. And yet, The Ghoul holds itself together incredibly well. Even as it starts to fold in on itself, questioning every act of characterisation and plot that preceded it, Tunley keeps both eyes on keeping things entirely sensical. And the result is a masterclass in editing and low-budget cult filmmaking. Tom Meeten’s gangly detective shimmies through multiple faces, but always remains a steady lead; thoughtful, commanding and completely sympathetic. He’s very much the glue that keeps the whole thing from collapsing, bouncing off of a much darker Lowe, and Geoffrey McGivern’s total curveball of a psychotherapist brilliantly. Even while Tunley’s script does the majority of the talking, it’s all on these performers to keep their constantly shifting personalities believable, and there’s barely so much as a wobble from any of them. Certainly as things gets denser towards the finale, The Ghoul will split opinions, especially considering just how far it ends up from its initial synopsis. But in embracing the bizarre – and in some ways, mystical – sides to the story and using them to very cleverly unite together all of the dangling threads that came before it, Tunley makes incredible use of his very limited budget and number of locations. Visually drab settings get a whole new light, and the sparse resources at play here feel like a whole lot more than they’re actually worth. With The Ghoul, Gareth Tunley has shown real vision; a thunderingly powerful, literal mind-bender of a debut that manages to do a whole lot, with really very little. It’s an incredibly thoughtful piece of work that stands amongst the best British indies of the decade, hand-in-hand alongside Wheatley, Lowe, Oram, and anyone else with the talent to join them. 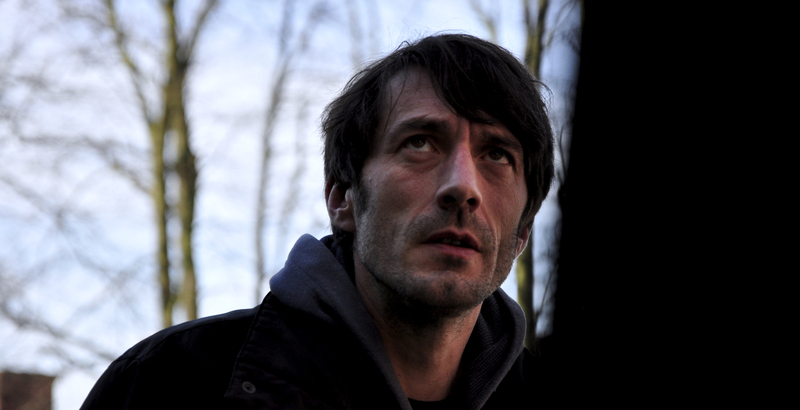 The Ghoul is out now in UK cinemas.